North Carolina’s Luke Maye, the recipient of the league’s 2018 Skip Prosser Award, headlines the annual All-Atlantic Coast Conference Academic Men’s Basketball team, as announced today by the conference office. To be nominated for the Skip Prosser Award, a student-athlete must be an upperclassman with a grade-point average of 3.0 or better – both in his career and in the previous two semesters. Sixty percent of the award is based on academic achievement and 40 percent on athletic accomplishments. A junior from Huntersville, North Carolina, Maye is the leading rebounder and second-leading scorer for the Tar Heels, who are 22-8 overall, 11-6 in the ACC. Maye has a 3.45 grade point average and was admitted to the undergraduate program in business administration at the nationally-renowned Kenan-Flagler Business School. He won Academic All-ACC honors as a freshman and sophomore and is the only ACC player to earn Academic All-District honors this season. Maye, averaging 17.9 points and 10.2 rebounds per game, is a candidate for the Naismith and Wooden Awards for National Player of the Year, the Karl Malone Award as the top power forward in the country, and All-ACC and Player of the Year honors. He has 15 double-doubles, has scored 20-or-more points 12 times, and has three games with at least 30 points and 10 rebounds. Maye is one of two players in the ACC in the top 10 in scoring, rebounding and field goal percentage. “Luke is an exceptional student and basketball player, and an outstanding choice for the Prosser Award,” said North Carolina head coach Roy Williams. “He is the third Tar Heel to win the award, which is a tremendous honor for our university and basketball program. Clemson guard Cliff Hammonds (2008), Miami guard Jack McClinton (2009), Virginia center Jerome Meyinsse (2010), North Carolina center Tyler Zeller (2011 and 2012), Duke center Mason Plumlee (2013), Pitt guard Cameron Wright (2014), North Carolina’s Marcus Paige (2015 and 2016) and Miami’s Davon Reed (2017) are past Skip Prosser Award recipients. To be eligible for consideration to the All-ACC Academic team, a student-athlete must have earned a 3.00 grade point average for the previous semester and maintained a 3.00 cumulative average during his academic career. 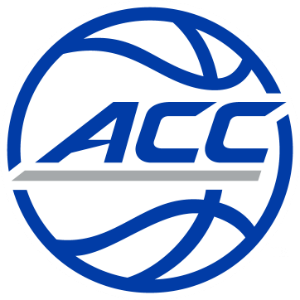 The All-ACC Academic Team includes three of the five and six of the league’s top 15 scorers – Duke’s Marvin Bagley III (20.7), Syracuse’s Tyus Battle (19.8), Maye (17.9), Duke’s Grayson Allen (15.5), Louisville’s Deng Adel (15.3) and NC State Allerik Freeman (15.1). In addition, the team also includes the league’s fifth-and 10th-leading rebounders, respectively, in Louisville’s Ray Spalding (8.9) and Clemson’s Elijah Thomas (7.9), and Virginia’s Devon Hall, who leads the ACC in assists-to-turnover ratio (3.19-to-1). Duke’s Allen earned a spot on the honors team for a fourth-straight year while Maye, Louisville’ Deng Adel and Raymond Spalding, Clemson’s Gabe DeVoe, Notre Dame’s Rex Pflueger, Virginia Tech’s Devin Wilson were named for a third time. Syracuse’s Tyus Battle, Florida State’s Trent Forrest, Virginia’s Hall and Louisville’s V.J. King are listed for a second time.